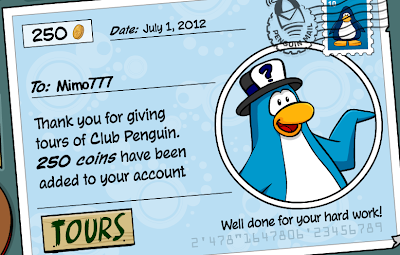 Club Penguin Cheats by Mimo777 Club Penguin Cheats by Mimo777: Club Penguin July Bux! 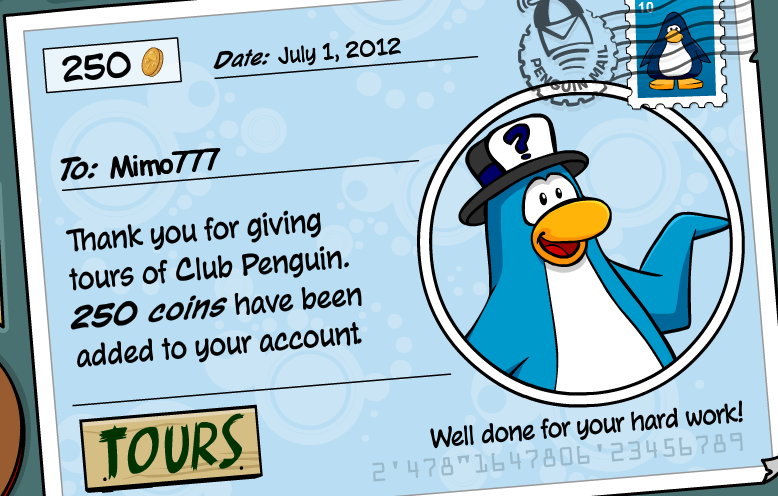 July Club Penguin pay checks are here! I just love when I get money in the mail, don't you? Even if it is only virtual, right? 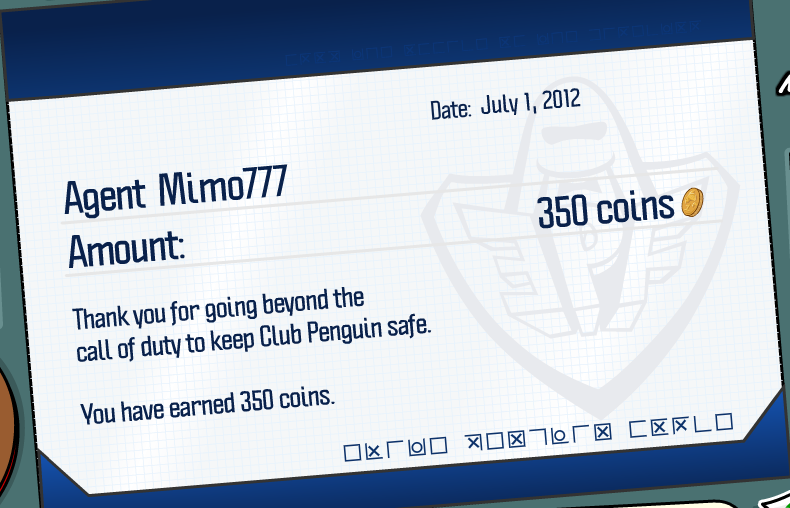 Dude I didn't get any pay checks even though I am a member, a tour guide, and EPF Agent. 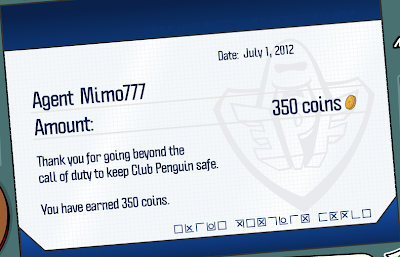 Mimi it's andude11 was the agent pay check always 350 coins because I thought that you get the same money for beinng a tour guide? Waddle on!! 1. They are meetable characters, not outfits. 2. Who would want a Shake It Up outfit anyway? 3. You are gay Mimo. Can non-members buy the outfits? Can't wait for rocky and cece clothes to come out!!!!! I'm saving up my bux!